Members of the media, ladies and gentlemen, good morning. As you know, I called this press conference to shed more light on the issue of increasing the salaries of public school teachers. Let me state categorically that I am not opposed to increasing the salaries of our teachers. However, I cautioned against the doubling of their salaries. This, after all, was not the President’s directive. He said to look into increasing the salaries of teachers, not doubling them. 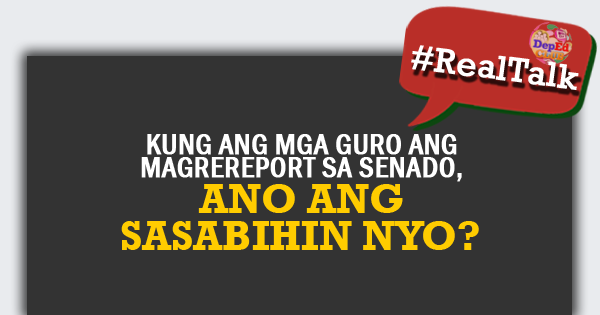 Presidential Spokesperson Harry Roque has already clarified this issue. I understand the crucial role teachers have in nation-building and I do believe they should be rewarded accordingly. I myself have taught in the University of the Philippines for over forty years. However, increasing the pay of our teachers will have significant implications on the fiscal position of the country. Thus, I’d like to give more context on the statements I have made previously on the issue in the most objective and fact-based approach possible. First, I would like to discuss the current compensation package of public school teachers in light of SSL and TRAIN. I will then proceed to explain the projected budgetary impact of increasing the salaries of more than 800,000 teachers all over the country. Next, I will show you the figures comparing the salaries of public school teachers with their private sector counterparts based on relevant studies in recent years. Lastly, I will summarize the salient points and action steps of our Department. Beyond the monthly salary, teachers also enjoy the bonuses and benefits enjoyed by government employees. This will include the Personal Economic Relief Allowance (or PERA) for P2,000 a month, a Mid-Year and Year-End bonus equivalent to one-month’s salary, respectively, a Performance Enhancement Incentive (or PEI) worth P5,000, and another P5,000 for the cash gift. Summing up the annual salary, annual bonuses and allowances will yield the total annual compensation package of a Teacher 1. Following this logic, in 2018 the annual salary of a Teacher 1 is worth P242,148 while their annual bonuses amount to P74,358. This sums up to total annual compensation of P316,506. Dividing this number by 12 (for twelve months) will yield the effective monthly compensation package of a Teacher 1 in 2018 – an amount of P26,375. Doing the same calculation for 2019, annual salary will equal P249,048 while annual bonuses will reach P75,508. In effect, the total annual compensation package will increase by P8,050 in 2019 due to the fourth tranche of SSL. On a monthly average basis, this is P27,046 – or P671 more per month. Here is another example. In 2018 a Principal I will receive P42,099 a month in wages given the salary for SG 19 in the third tranche of SSL. Summing up the bonuses and allowances outlined before you will reach P118,198 in 2018. Adding this amount with the annual salary of a Principal I, which is P505,188, will result to the total annual compensation package of P623,386. Dividing the said amount will again result to the effective monthly compensation package of a Principal I. The computed number is P51,949 for 2018. Applying the same method to FY 2019, we can see that annual salary and annual bonuses both increased due to the higher monthly salary with tranche four of SSL. In effect, in 2019 a Principal I will have an annual salary of P543,228 and annual bonuses amounting to P124,538 – this is a P44,380 increase in total annual compensation from 2018 to 2019. On a monthly average, a Principal I will receive P55,647, or P3,698 more per month, in 2019. But that’s not all. In addition, all government workers, including teachers will pay lower taxes with the adjusted personal income tax rates of TRAIN. This means more money in the pockets of our teachers. In this computation, we assumed that the said Teacher I has no dependents. Take note again that we used the third tranche salary level of a Teacher I, which is SG 11. For a Teacher I, annual tax savings will amount to P35,537. In fact, a Teacher I will be tax-exempt under the TRAIN law as his/her taxable annual income falls below P250,000. The tax savings generated is no small amount. In fact it is 176% of the monthly salary of a Teacher I. This is almost giving a Teacher I a 15th and 16th-month bonus (because we already have 13th and 14th month pay with the Mid Year and Year-End bonus) in tax savings alone. We extended the analysis to FY 2019, using tranche 4 of SSL as the base salary. And it can be shown that annual tax savings also increased to P37,262 for the said Teacher I. Moving on, here is the calculation for a Principal I with SG 19 based on tranche 3 of SSL. We assumed that the said principal has two dependents because this is no longer an entry-level position. With TRAIN, the tax liability of the said principal will be lower by P42,870. In this case, annual tax savings is almost equal to the monthly compensation of a Principal I. So the tax savings with TRAIN can be seen as a 15th month bonus for this Principal I. Again, we extended the figures based on what a Principal I would receive in 2019 with the fourth tranche of SSL. You can see that it has also generated additional tax savings as it is now P45,088. The point of my discussion is to say that for 2018, teachers, like other government employees, will enjoy a boost in compensation on two fronts: first with tranche 3 of SSL, and second with the tax savings from TRAIN. The table before you summarizes their combined effect. Adding the two positive effects will yield a total annual gain of P43,363 for a Teacher I and P84,142 for a Principal I. These are not insignificant amounts and will surely augment the takehome pay of our public school teachers. To add to that, another round of salary adjustments will be implemented in 2019 – this is the fourth and last tranche given that the first tranche was implemented in 2016. Here are the numbers for 2019. A Teacher I can expect an increase of P8,050 in total annual compensation via SSL and a tax break worth P37,262 for a total annual gain of P45,312. Meanwhile, the Principal I will gain another P44,380 on an annual basis with SSL. Tax savings, on the other hand, will amount to P45,088. This means that in 2019 a Principal I will have a total annual gain of P89,468. On an aggregate effect, this can again be considered as the 15th month and 16th month-pay of the said teachers. We cannot dismiss such a significant amount. The 2018 and 2019 salary and lower tax adjustments are not promises, not speculation, but real. They are in the 2018 budget and will be part of the 2019 budget. Next, let me move on to the projected budgetary impact of increasing the salaries of teachers. This table shows the gradual increase in Personnel Services (PS) cost for teaching positions from 2016 to 2019. From P349.2 billion in 2016 with the first tranche of SSL, it is now at P381 billion in the 2018 GAA. Furthermore, we project that the fourth tranche will raise the PS further to P398.8 billion by 2019. From 2016 to 2019, PS cost for teaching positions has increased by 14.2% or about P49.6 billion. The table above shows the Personnel Services (PS) Cost included in the 2018 GAA. The number of authorized positions for teachers is 880,640 – this is the number of teaching positions that is programmed in the 2018 Budget. 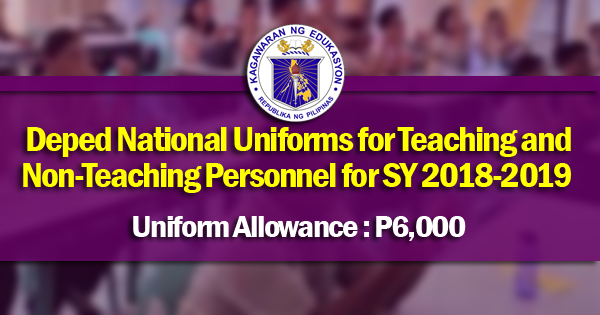 This includes teaching positions under DepEd, TESDA, and SUCs. We summed up the salaries, benefits, and fixed expenditures across the 880,640 teaching positions to arrive at the programmed PS cost. In the 2018 GAA, about P261.6 billion is appropriated for the salaries of teachers. Another P78.8 billion is earmarked for other benefits and compensation while fixed expenditures is allocated P40.7 billion. Hence, the total PS cost is P381 billion. Given the proposal to double the salaries of teachers, all of the three expenditure components of Personnel Services will increase. Authorized Salary will double to P523.1 billion. Other compensation will also rise to P122.4 billion because doubling the salaries of teachers will also mean doubling their mid-year and year-end bonuses. Likewise, fixed expenditures like retirement premiums and PAG-IBIG contributions will also increase because they are indexed to the salaries of employees. In total, the projected PS cost with the doubling of salaries of teachers is estimated at P724.8 billion. Getting the difference between P724.8 billion, the estimated PS with the doubling of salaries of teachers, and P381 billion, the programmed PS cost in the 2018 GAA, will yield the estimated additional funding needed. This rounds out to P343.7 billion. In effect, we would have to increase the current PS budget for the 880,640 teaching positions by 90% to fulfill the doubling of salaries of teachers in 2018. Indeed, P344 billion is no small amount. In fact, it is about 2% of GDP. Financing the doubling of salaries of teachers may require hiking the deficit to 5% of GDP from the current program of 3% of GDP. This will make the public sector deficit unmanageable. It will put at risk the excellent international financial standing that the Duterte Administration has built in the past 18 months. We may be risking a credit rating downgrade with an unmanageable public sector deficit. This means we will face higher interest rates, and in the near-future, greater debt service payments when borrowing from international financial institutions. In other words, such a policy will endanger our prudent and carefully-crafted medium-term fiscal program. Besides an unmanageable deficit, the government may resort to two alternatives: (1) imposing new or higher taxes, and (2) reducing other expenditure items in the Budget. Raising an additional P343.7 billion in revenues is a monumental task. Consider that Package 1A of TRAIN is expected to deliver about P90 billion in revenues, yet this is only about one-fourth the amount needed to finance the doubling of salaries of teachers. Some may pin their hopes on Package 2 of TRAIN, but this is not practical because Package 2 is envisioned to be revenue-neutral. That is, it is expected not to raise additional revenues. It will amend the uncompetitive and inefficient corporate tax system in the Philippines, among other reforms. At the same time, TRAIN generated a lot of uproar – and the said package only raises one-fourth the required amount for doubling the salaries of teachers. The Filipino people may not allow tax measures intended to raise some P344 billion. Programs of the government, among other things. We cannot afford to sacrifice these priorities, especially Build Build Build. Our BBB Program was designed to make up for past neglect in infrastructure; it is meant to link fast-growing regions to lagging regions; it is meant to improve the quality of life of Filipinos so they might spend more time with their families rather than spend more time on the road. We must think and prioritize long-term solutions for our country’s development and for the people’s general welfare. On to the third section of my presentation, let me discuss the compensation of public school teachers relative to their private sector counterparts. 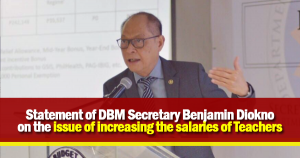 In 2015, as the government was gearing up for the implementation of SSL, the DBM commissioned Towers Watson to benchmark the salaries of public sector employees compared to the market rates. 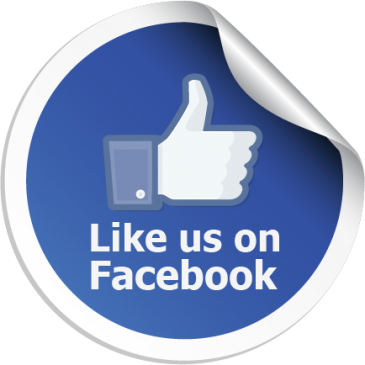 Towers Watson, by the way, is an independent consulting firm specializing in risk management and human resource consulting. The graph before you shows the comparison of a Teacher I and a Head Teacher III with their private sector counterparts in 2015 (pre-SSL IV). This is consistent with the observation that for entry-level positions the government is more competitive compared to the private sector. On the other hand, for middle managers to executives, government pay lags behind market rates. The results show that for monthly salary alone, a Teacher I makes 46% more than his/her private sector counterpart. However, if bonuses and benefits are considered, I surmise that an entry-level teacher may be earning twice as much in public schools rather than in private schools. Maybe you have a 13th month-pay in private schools. 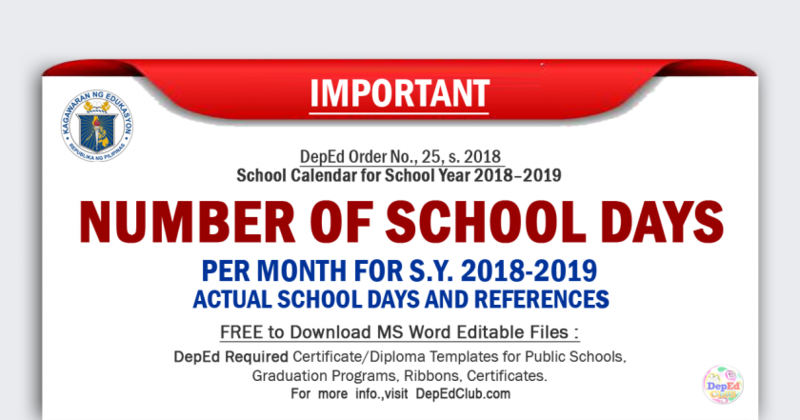 However, in public schools, teachers enjoy a 13th and 14th-month pay, a top-up of P2,000 a month with PERA, and other allowances like the clothing allowance and cash gift. Another study validating our claim that public school teachers make more than their private school counterparts is this study done by Dr. Rosario Manasan as part of the ADB Capacity Development Team for DepEd. Using data from the Labor Force Survey in 2016, the average monthly salary of public school teachers dwarfs that of private school teachers. Public school teachers, on average, earn more than 71% in salaries compared to their private sector counterparts. More so, Dr. Manasan found out that pay in public schools is much more stable and constant across regions compared to private schools (which could go as low as P6,700 pesos in ARMM). These pay differentials may partly account for the exodus of private school teachers to public schools. Pay is just much better in the public sector for a teacher. Given these figures, the salaries of public school teachers is more than competitive relative to the private sector. Such observations are confirmed both by the market study commissioned by the DBM in 2015 and the study conducted by Dr. Manasan in 2016. In sum, here are our takeaways. First, the take-home pay of teachers has increased with SSL and TRAIN. The numbers support the conclusion that the pay for public school teachers is even more competitive than prevailing market rates. The combined effect of TRAIN and SSL is like a 15th and 16th-month bonus to teachers relative to their monthly salaries. Yet, we recognize the important role of teachers. They are primary nation-builders who mold our future citizens and leaders. This is why we are also not strictly against the salary increase of teachers. However, we would prefer to let the third and fourth tranche of SSL run its course. At around the first quarter of 2019, we propose commissioning a study from an independent firm to benchmark the salary of teachers and other government personnel like doctors, nurses, lawyers, and so forth. If the government is to attract and retain the best talent, as it is supposed to be for the nation’s best interest, then the government must continually study the compensation of public sector employees. Based on the results of the study, then we will propose the appropriate level of compensation for government workers. In terms of the 2018 Budget, we all know that the General Appropriations Act (GAA) has already been passed into law. The Executive Department cannot unilaterally amend the Budget. We need time to seek possible funding sources and study the financial implications of a possible increase. Again, this may not be immediate as the 2018 Budget has already been passed by Congress. In short, the DBM is not per se against the salary increase of teachers. We are just pushing for a fiscally sustainable, prudent, and equitable solution to this monumental problem. Surely we do not want a major portion of our Budget to just go to salaries – the Filipino taxpayers will not allow that. For a young and developing nation like ours, we have to invest in infrastructure and human capital development, among other things. A haphazard and rash intervention will not do us any favors.